A journalist with 45 years’ experience, Dr. Allen served as press secretary to U.S. Senator Jeremiah Denton and as senior researcher for Newt Gingrich’s presidential campaign. He earned a master’s degree in political science from Jacksonville State University at age 19, and has a law degree from Cumberland Law School and a PhD in Biodefense from the College of Science at George Mason University. 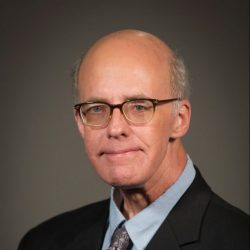 Called a “digital revolutionary” (National Journal) and “the Tea Party’s editor in chief” (The Daily Beast), he has written for The New York Times, The Wall Street Journal, Newsday, The Washington Times, The Washington Examiner, and The Hill. He writes frequently for American Greatness magazine. Where’s the Evidence for Putin Backing Trump?